Please read the Donation Criteria for information about what we accept and do not accept. We normally contact you within 1-2 business days to discuss a pickup date. 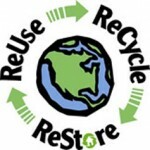 The New Haven County ReStore picks up in many surrounding cities and towns. Click here to find out if you are in our pickup area. Although Habitat GNH offers pick up service free of charge, we would be grateful for a small monetary donation to offset the expense of gas. Your donation receipt will reflect any financial donation in addition to the goods donated. Thank you! Call us at (203) 800-5517 if you have any questions about donations or the pickup schedule.